After yet another argument between Lucy and Viv, leads to Viv's decision that she and her son Sherman will move out. Mr. Mooney forces Lucy to get a new tenant immediately in order to pay the bills. 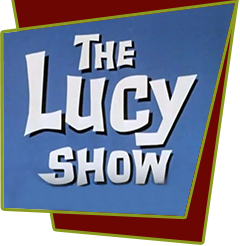 Lucy takes in another boarder, entertainer Roberta Schaeffer, a nightclub singer and her son Bob. They get a local gig and now need to practice day and night. Their non-stop rehearsals of "Up a Lazy River" get old quickly and drives Lucy crazy. Meanwhile, Viv has a change of heart and wants to move back in and Lucy desperately wants to lose the chronic songbirds. The girls and Mr. Mooney help the Schaeffers' get a booking so they will move out. Special Notes: Roberta Sherwood is a well-known nightclub singer and Jerry Lanning is her real-life son, who has been appearing in other Desilu sitcoms. In 1962, Desilu produced a sitcom pilot with Gale Gordon and Sherwood plahying husband and wife, with Lanning as their singing son. It did not sell which is a good thing, Gale Gordon would not have been available to portray Mr. Mooney, which not only would have denied Lucille Ball the comedic foil that made her show a hit, but would have also denied Gordon the iconic role he would be forever remembered.